A thorough and practical guide to IT management practices and issues. 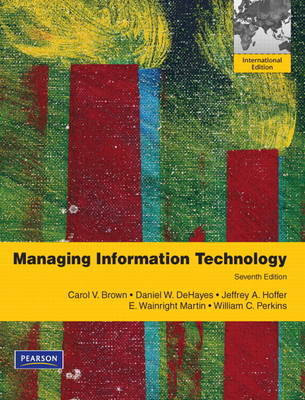 Through an approach that offers up-to-date chapter content and full-length case studies, Managing Information Technology presents in-depth coverage on IS management practices and technology trends. The sixth edition has been thoroughly updated and streamlined to reflect current IS practices.